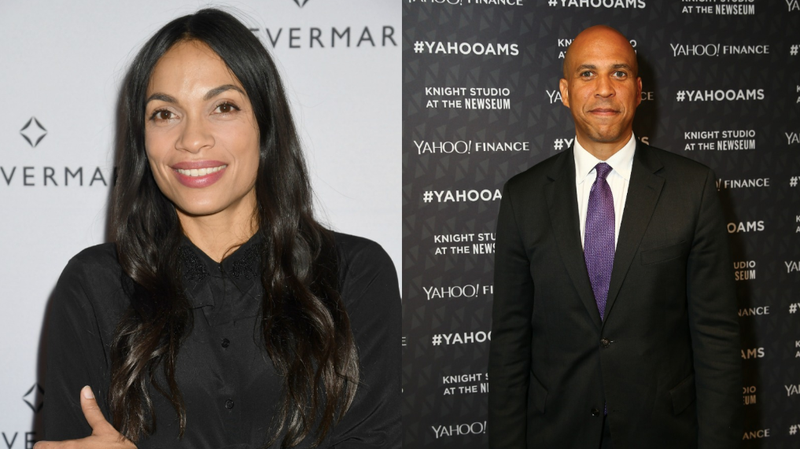 Last week, Rosario Dawson may have told Cory Booker that she loved him (via song), but people sing things all the time that they don’t mean, right? If I sing “I’M RICH I’M RICH I’M RICH” in the shower, it doesn’t mean I suddenly get to stop eating rice for every meal...does it? [CHECKS BANK ACCOUNT] Ha, NO it does not. As my colleague Rebecca Fishbein commented last week: “Honestly I think I might hate this.” Same? Someone please tell me what to think. About this, and everything else. “It took me many years of undoing some bad choices I made for myself before I finally found the freedom to sustainable internal beauty and acceptance of what is the best version of myself by no standards but my own,” she wrote in the caption. I’m glad she found that acceptance, because plastic surgery was definitely a bad choice for Hadid: She removed her breast implants in 2015 after they ruptured and exacerbated her Lyme disease symptoms. Beauty is terror.